Every organization has different training needs, and WholeWorks provides custom-optimized combinations of in-person, online and hybrid approaches that offer excellent results and scalability. We’re big fans of in-person instructor-led training, but when quick deployment to dispersed audiences or lower per-person costs are priorities, our newly launched online platform offers a highly engaging and convenient experience to on-the-go learners (including new adaptations of our signature business simulations). Our cloud-based leadership simulations include an intuitive team-oriented web interface, and all the features that make our in-person simulations so powerful: compelling narratives and scenarios, Inbox messages and memos, role-based decision-making, customized dashboards, and a realistic computer simulation. And above all, customization to your business model and organizational challenges. Portability: Access from any location with internet access, at any time, using any web-enabled device (PC, Mac, tablets, smartphones). Scalability: Simulations are easily scaled to accommodate large groups: hundreds of participants in live programs, thousands in online cohorts. Lower cost: There’s no costly equipment rental or set-up - participants interact with the simulation using their own devices. Reliability and security: Cloud-based services such as Amazon Web Services are extremely reliable and provide the highest available level of security. Simulation and online learning are core to WholeWorks’ business, so we partnered with Intrepid Learning on a breakthrough technology platform for leadership development. It combines the best of simulation-based training with an enhanced online learning experience. Learners can use any web-enabled device for access, reducing their time away from their job, and saving significant travel, facility, and equipment expenses. Competency-focused: Each week focuses on a different leadership competency that’s aligned to your organization’s strategic goals. Full-immersion business simulation: Teams collaborate virtually to transform a business over a multi-year period. 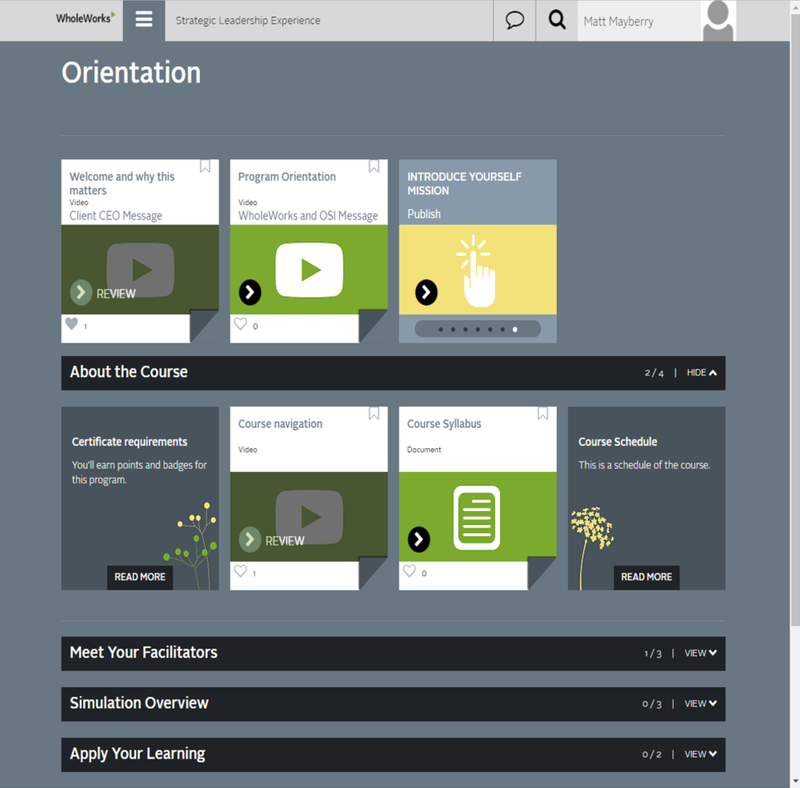 Modern learning: Each week includes customized content that reflects your learning objectives and challenges from the simulation, presented in bite-size, engaging formats (video, short articles, interactive exercises, projects, structured pathways, image/video uploads with peer comments). 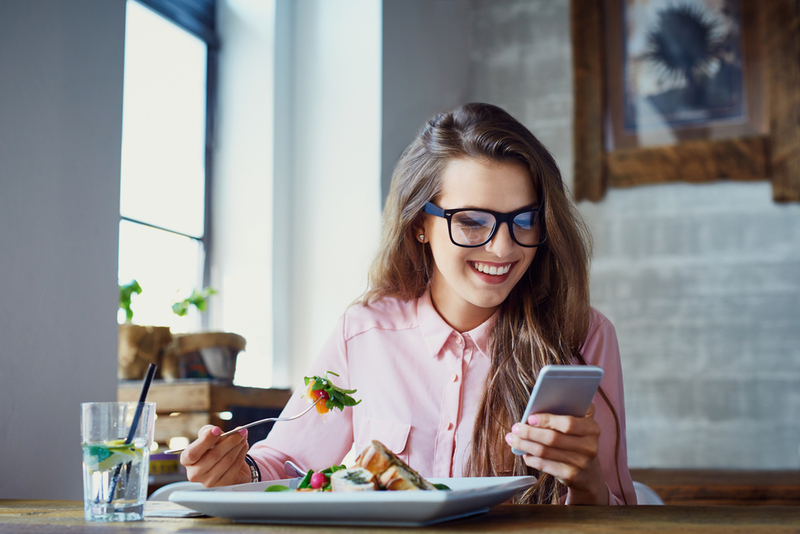 Social interaction: Participants get to know each other via forums, chat and video; engage in thoughtful discussions; add comments/likes to postings; and provide peer reviews and feedback. Executive presentations: Executives can create videos to provide context and explain learning objectives. They can also engage with participants in interactive online sessions. Personalized learning: Learners navigate through material in their own way, at their own pace. Feedback and Coaching: We can provide skilled facilitation to your support teams during the simulation, and individualized coaching before, during, or after the course. Special Projects: Your team can apply their learning to real-time challenges in your organization - the platform supports custom individual or team projects. Deliverables are viewable across the cohort and can be double-blind peer reviewed. Accountability: Points and badging can be used to track progress, increase accountability, add motivation, and support certification. When face-to-face time is essential to the learning experience, a hybrid approach can maximize its value. Participants can learn essential content online before the live workshop, allowing the in-person group to focus on experiential activities (e.g. simulation) and social/networking sessions. After returning home, participants can review content, continue their simulation exercises, and complete follow-up projects online. Our experience with large corporations (Dow Corning, Starwood, Nike, etc.) has been that live programs can be extremely effective during the initial phase of deployment, to engage senior leaders or refine the learning experience with target audiences. Live workshops have typical class sizes of 20 - 40, so this approach can reach the first 100 - 200 participants in your organization. In Phase 2, online or hybrid programs are effective for broader audiences, with cohort sizes ranging from hundreds to thousands. This scalable delivery approach means that even the largest organizations can be trained within a year.